One person who literally is set to continue “working” until she drops is HM The Queen who on Wednesday 9th September will become the longest-reigning British monarch. The record had previously been set by her great, great grandmother, Queen Victoria, and was for a reign of 63 years, seven months and two days. 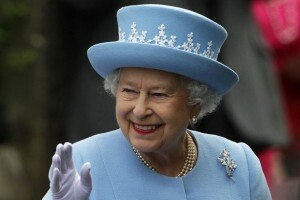 The Queen, it could be argued has little choice in matter. I’m not sure if she’d qualify for a State pension – and I can’t imagine she’s been paying NI contributions during her long reign. However, what the Queen shows, alongside luminaries such as her contemporary, at 89 years of age, Sir David Attenborough and 80 years-old Dame Maggie Smith, is that if you’re in good health the concept of a traditional retirement in your mid-sixties isn’t necessarily for everyone. People are living longer and consequently it’s not just media types who’re working longer. 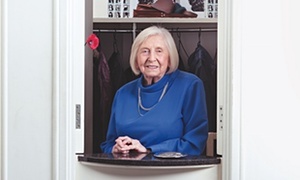 Here in Glasgow, at 90, Jean Miller is a year older than the Queen yet continues to work as a receptionist for Vidal Sassoon hairdressing in Glasgow’s Princes Square. The old image of everyone giving up work aged 60 or 65 and becoming a pensioner is perhaps a thing of the past. People are seeing the opportunity to stay at work full-time or in a period of ‘pre-tirement’ as an attractive one – whether it’s to boost their pension pots or just to stay fit, healthy and stimulated. At least, that’s how it is for some. For many, it could be too hard to keep working in their present role and for others, they simply do want to retire to do the things they wanted such as travel and spend time with the grandchildren (or should that be looking after the grandchildren while their children go to work). If you do see yourself retiring somewhere between 60 and 70, and you don’t work in the civil service or elsewhere with an exceedingly rare but much-envied final-salary pension plan, then you need to prepare for this. The state pension is changing. From 6 April 2016, the age at which you qualify for the new state pension goes up to 66. However, as most of us know by now, at £151.25 a week if you qualify for the full new state pension, this might be sufficient for us to get by on the life’s essentials but not if we want to enjoy holidays and travel abroad and the occasional treat at home. That’s why putting money aside for retirement is so important while we’re working. Pensions are the most common way of building a retirement fund and you may be fortunate to have your employer contribute to your pension too. Add to this the tax relief that the government adds to your pension and you can see why people have been encouraged to plan for their retirement through saving in a pension. However tax relief is expensive and the government is currently reviewing the tax incentives savers are currently given to put money aside for their retirement. It might be forlorn, but let’s hope the government leaves well alone for if they tinker further with pensions, people could stop saving and without sufficient retirement funds, we really will have to follow Her Majesty and “work until we drop”!